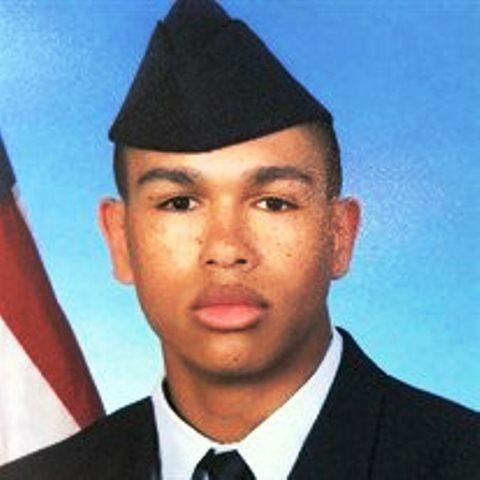 The Patriot Guard Riders have been invited to participate in the final services and interment of Amn Elijah Dante Lamont Drew, 19, on Monday, 11 Feb 19. Elijah went to be with the Lord on 31 Jan 19. Dave Shaffer (pdshaffer327@yahoo.com) is the RCIC. Flag line will be in place NLT 1300 and maintained until the start of services at 1400. At the conclusion of services, flag line will be reset for his dignified transfer to the hearse for his final journey to Donel C. Kinnard Cemetery, Dunbar, WV. Flag line will be set and maintained until the end of the committal services. Won’t you join with us as we say “Thank You” and “God Speed” to one of our own who departed this life much too soon. This afternoon six Patriot Guard Riders met at Chapman Funeral home to pay respect, Honor and support the Family of Airman Drew. It is always hard to attend this when they are so young. Airman Drew had a lot of friends and family. That says a lot about him. It was great to see such a big turnout. He was loved and will be missed. We established a flag line outside the front entrance of Chapman’s. We had several friends and family stop by and thank us for being there. At the beginning of the service, upon the family request, we filed in and rendered a final salute to Airman Drew. I then presented the condolence book and PGR plaque to his wife and family. We formed a line and saluted Airman Drew as he was transferred to the waiting vehicle for the trip to the State Veterans cemetery. There we placed our flag line on each side of the committal area. The Air Force Color Guard handled the Military part of the service from there. They did an excellent job. Thanks to them for their service and what they do. After the family had left we called an end of the mission. A big thanks to the guys from Kentucky who came to Honor this veteran today, Charlie, Doug, Whitey and Ronnie. Thanks to Dave from the Hurricane area for his help. A big “THANKS” to the staff from Chapman, they were great to help us today. Rest in peace Airman Drew. You are truly loved and missed.